NEW YORK, February 7, 2019	(Newswire.com) - InvestAcure PBC, a Common Need Investment firm for Alzheimer’s R&D, announced today that world-renowned gamification pioneer, Yu-kai Chou, has joined its team as Chief Experience Officer (CXO). Named the "Gamification Guru of the Year" in 2014, 2015, and 2017 by the World Gamification Congress and the Gamification Europe Conference, Chou will spearhead the design of the UI/UX for the company's spare-change investment platform. InvestAcure is a Public Benefit Corporation, building a spare-change investment platform to enable all who share a "Common Need" to see Alzheimer’s cured, to automatically round-up day-to-day transactions to the nearest dollar and invest their spare-change in companies working on developing effective medications for the disease. 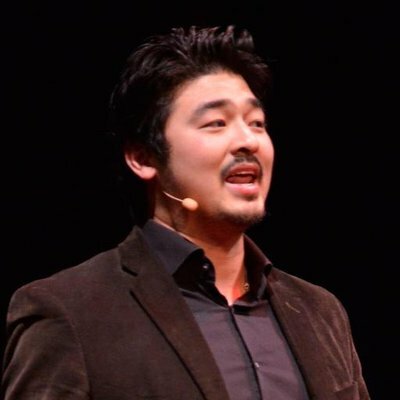 With an extensive background as a consultant to the world's leading brands, including Google, LEGO, eBay, Huawei, and Volkswagen/Porsche, Chou is globally acknowledged for his unique insights into gamification and behavioral design. Chou said: "The idea of having millions of people impacted by Alzheimer's join together as spare change investors, who own stock in drug companies, represents an innovative and potentially game-changing solution to the "valley of death" problem in the pharmaceutical industry. If scaled to full potential, it can help ensure that smaller scientist led drug companies to have the investment and support of their shareholders needed to pursue the development of cutting edge scientific breakthroughs into lifesaving drugs. I’m excited to join the team and do my part in realizing this world-changing vision." Chou is the author of Actionable Gamification, a critically acclaimed book on the new era of gamification and human-focused design. He developed the "Octalysis Framework," which is a renowned approach to behavioral design. This method is being used by companies around the world — such as Accenture, Fidelity, and Hewlett-Packard — to increase user participation and engagement. Chou is a Founding Partner with the Octalysis Group, whose work has, by their own estimates, influenced more than a billion users globally. As a public speaker, Chou has spoken at Austin's SXSW and for TEDx at Lausanne, where he delivered a popular speech on how gamification can improve the lives of everyday people. "In undertaking the design of the UI/UX for the platform, I hope to use my research and insight, in creating an engaging and fun experience so that users can feel a sense of ownership, community and epic meaning as they join together to invest for a cure," concluded Chou. Max Tokarsky, Founder & CEO of InvestAcure said: "Having Yu-kai Chou join the InvestAcure team to spearhead the design of the UI/UX for our platform represents an important milestone for us. Yu-kai’s expertise and pioneering leadership in building engaging, fun and meaningful user experiences has helped some of the world’s iconic companies succeed in attracting and maintaining user traction. We are excited to work together in ensuring the successful realization of the InvestAcure vision, for a world where all of us can partner in the development of innovative drugs and therapeutics to help slow and cure Alzheimer's and eventually other deadly diseases." InvestAcure is a Public Benefit Corporation, with a vision to see a world where drug companies are owned by millions of spare-change investors committed to curing Alzheimer’s. To realize this goal, the company is building a spare-change investment platform to enable those impacted by Alzheimer’s to partner in the search for a cure by rounding-up day-to-day transactions and investing the spare change in clinical stage pharmaceuticals working on promising drugs. This would help transition investment leadership from a narrow group of profit-driven investors to a much larger and stable investor base motivated primarily by the search for a cure, leading to more clinical trials, more drugs and drug combinations tested and progress to a cure. For additional information about InvestAcure, PBC visit www.investacure.com or email info@investacure.com.